What is a Michigan Rental Application? 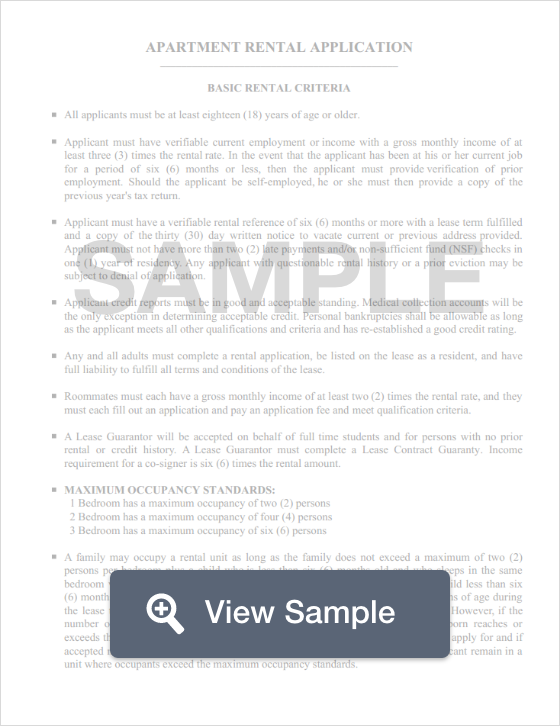 Michigan Rental Application: What Is It? In Michigan, a rental application is the means that a landlord uses to collect information from applicants in a well-organized and legal fashion. These documents will ask personal information from applicants like their address, income, and credit history. Though this may seem like invasive questions, they are essential for the landlord to determine who will be most likely to pay rent on time. Rental applications also generally come with a fee that ranges from $25 to $75, but can be higher. Michigan law caps security deposits at one and one-half month’s rent (1.5x) and requires landlords to return a tenant’s deposit to him or her within 30 days (Mich. Comp. Laws §§ 554.602 to 554.616).